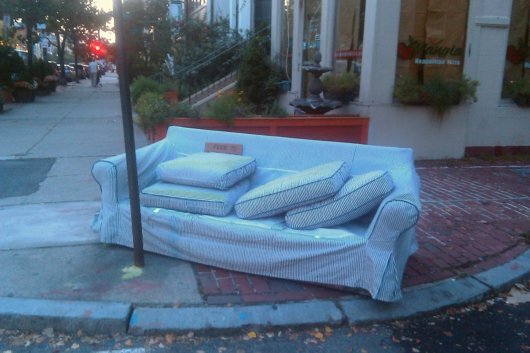 The sofa remains on the corner, and I spot it on October 17th, but this time stripped of its slip cover. 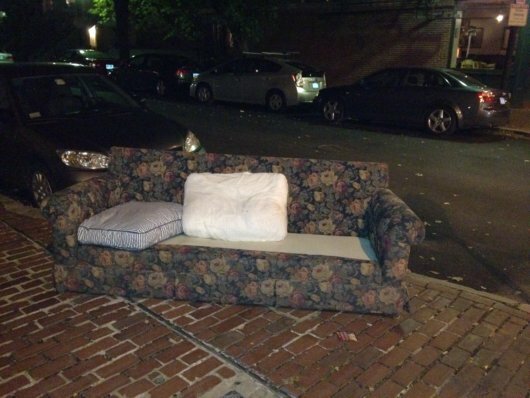 The sofa eventually disappears, and on October 24th, I hang its photo on Massachusetts Avenue near the Southwest Corridor as part of the Pop-Up Chair Exhibition. 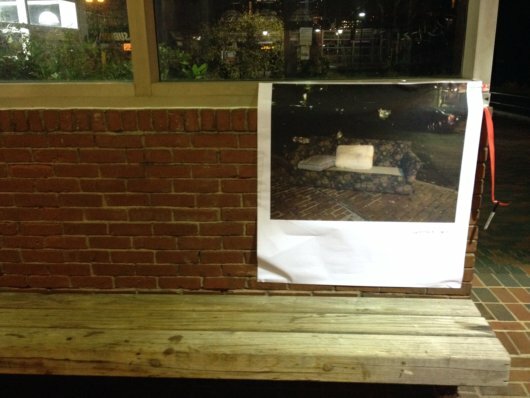 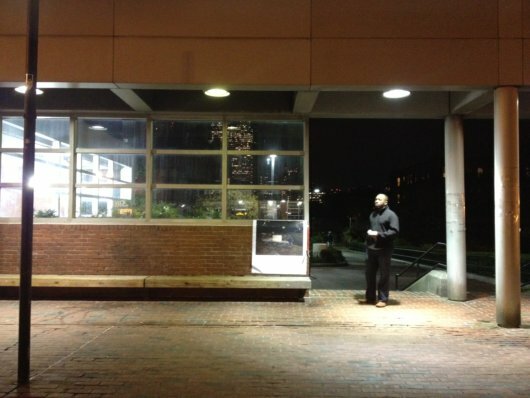 An unknown person removed the poster shortly thereafter on October 25th.